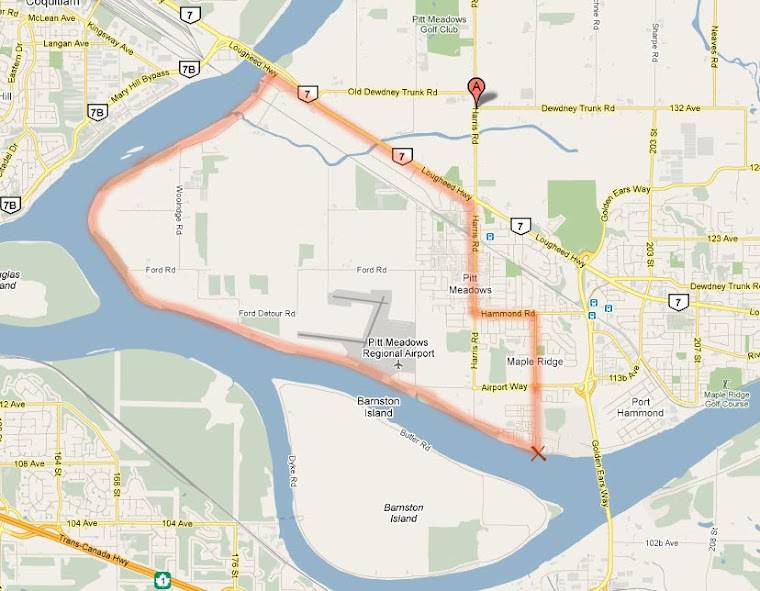 Join the VACC for a leisurely ride from downtown Maple Ridge to Osprey Village in Pitt Meadows for the official opening of the South Bonson Community Centre. 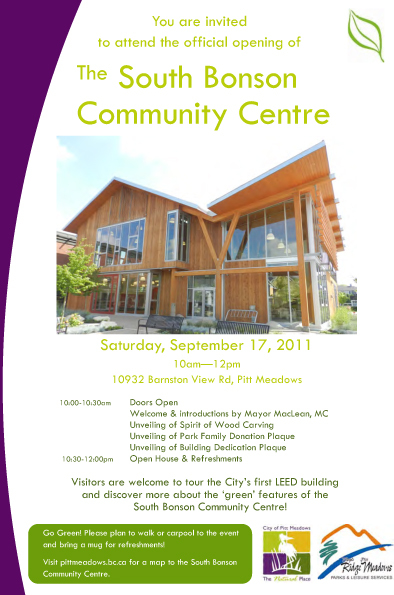 Participate in the ceremonies and tour this beautiful, LEED Certified building which is sure to become the centre of activity for this part of Pitt Meadows. Riders meet at Spirit Square in downtown Maple Ridge at 9am on Saturday, Sept. 17, ride together to Osprey Village and return on your own schedule.